Choosing the perfect nursery furniture is a bit of a minefield... with so much choice, where do you begin? I always like to look at magazines or surf the net for inspiration. You can create Mood Boards with clippings of furniture you really like, colours that inspire and accessories that will bring a room to life. Planning the room should be fun and exciting - it’s a fresh new start for a brand new little life! Here’s an image that may well inspire. Wallpaper is a wonderful way to add dazzle to a room. 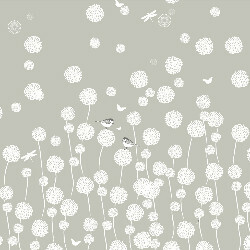 Our delightful Dandelion Fields WallScene wallpaper is a glorious riot of delectible dandelions and seed heads floating against an earthy, putty grey background. Sweet little birds sit on some of the flowers with butterflies and dragonflies dancing around in the sky. 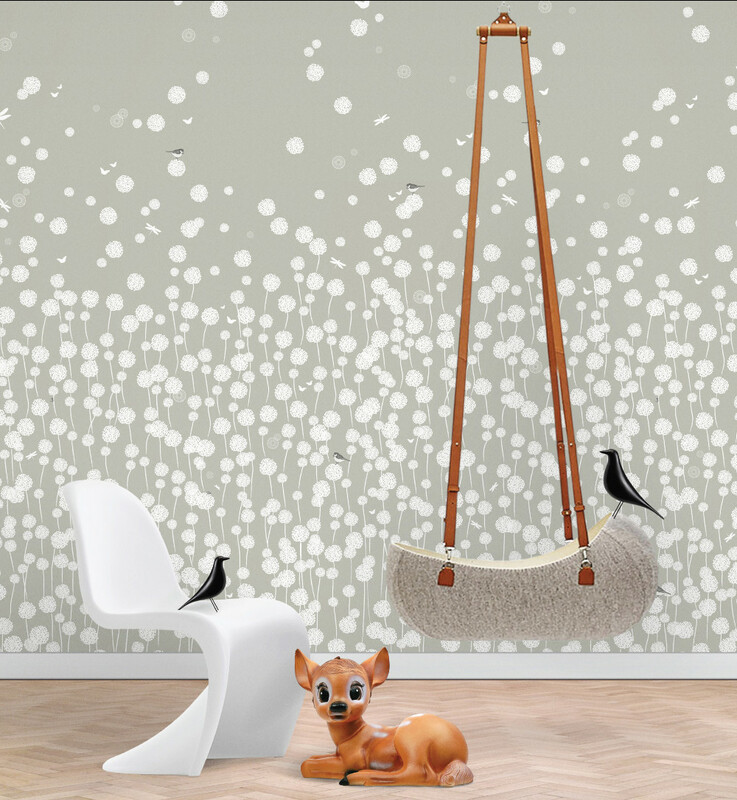 Our lovely Little Nest Swinging Cradle looks stunning against the wallpaper. 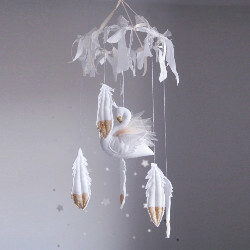 Handcrafted from a single piece of Merino wool felt and suspended from a single point, it has been designed to cocoon your baby and to sway gently with every little movement he makes. 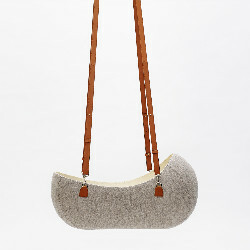 Emulating the movements felt when in the womb, it will lull your little bundle into a stylish, sweet sleep. And the crisp, contemporary design will look a million dollars in a modern nursery. Nobody designed chairs quite like Verner Panton! 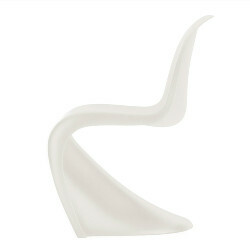 We adore this classic design, reissued by Vitra and use it in may of our interiors. Whether you choose the Panton Junior size or the grown up version, it will add a dose of design drama to your interior. 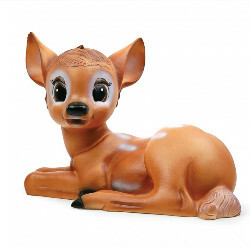 The Lying Fawn Lamp, with her gentle, expressive face will create a delightful dream like world for your little one. Casting a soft, soothing glow at night, the light makes for a reassuring environment for children to fall asleep in. We use them as night lights in our baby interiors. 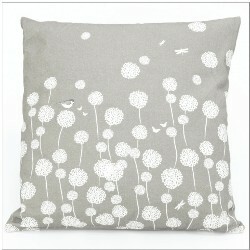 For a bit of snugly, textural softness, our Dandelion Fields Cushion will compliment the wallpaper design and the Eames House Bird finishes off the room perfectly.